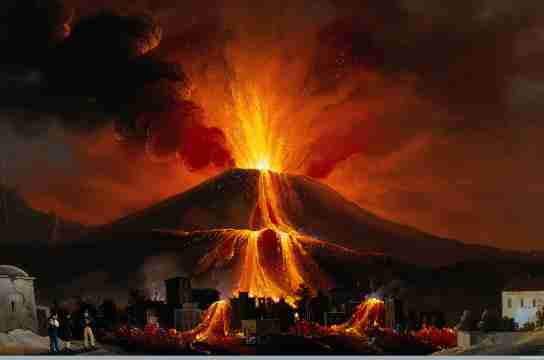 Mount Vesuvius is the only volcano on the European mainland to have erupted in recent centuries. 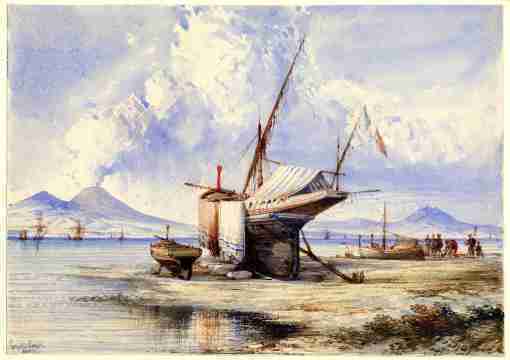 Close to the city of Naples in Italy, and relatively easy for travellers to visit, it was a popular destination for tourists in the 18th and 19th centuries and a compelling subject for watercolour artists. 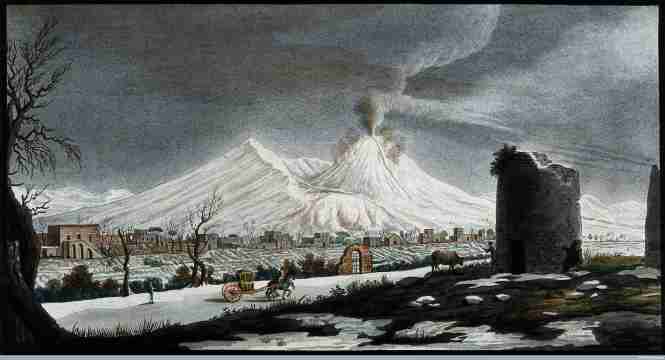 For long stretches of time, the volcano was relatively inactive. 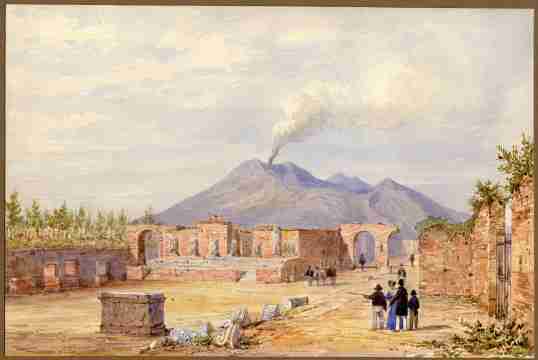 It can be seen, gently smoking, in the background of many of the watercolour views of Naples and the surrounding countryside. 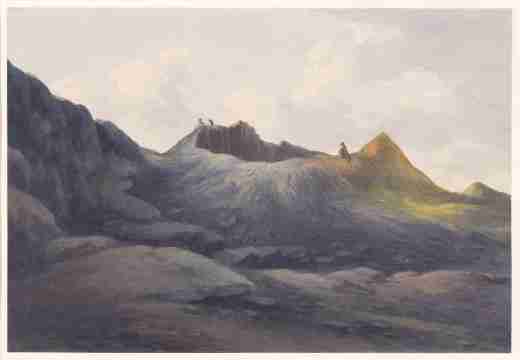 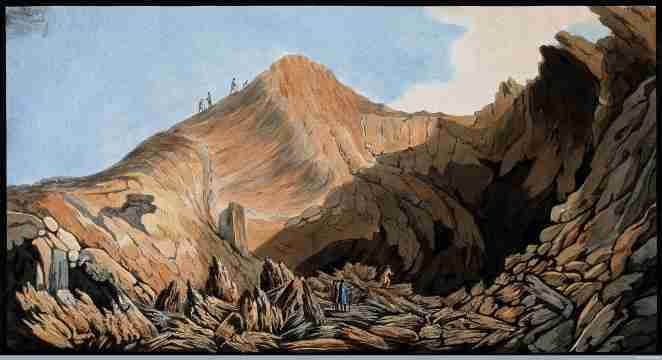 During these quiet periods, artists were able to climb the volcano to paint the summit crater. 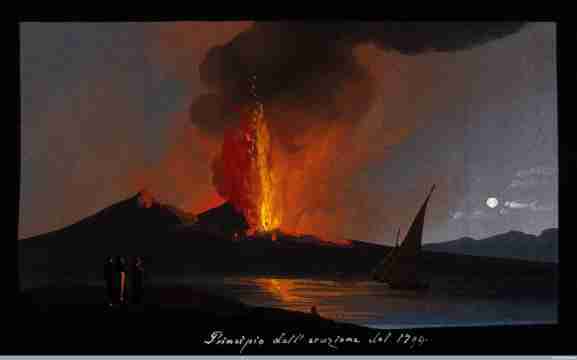 But at other times, Vesuvius was convulsed by violent eruptions. 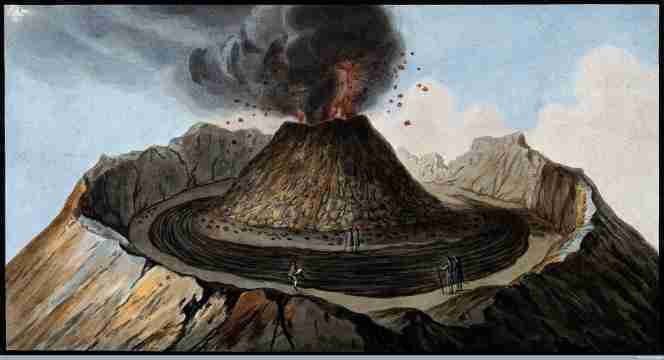 Notable episodes of volcanic activity occurred in the 1760s, in 1794 and between 1832 and 1835, for example. 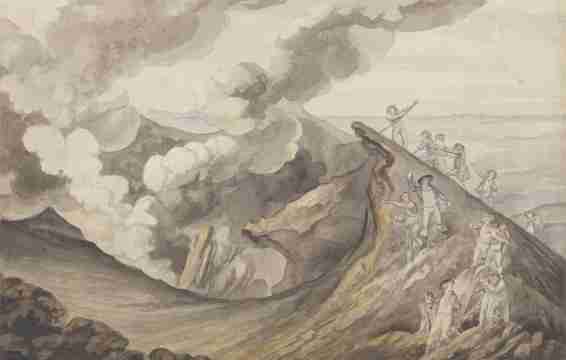 On these occasions, rather than fleeing from the danger, artists flocked to the volcano to record the spectacle of molten lava being ejected into the air and flowing down the sides of the mountain. 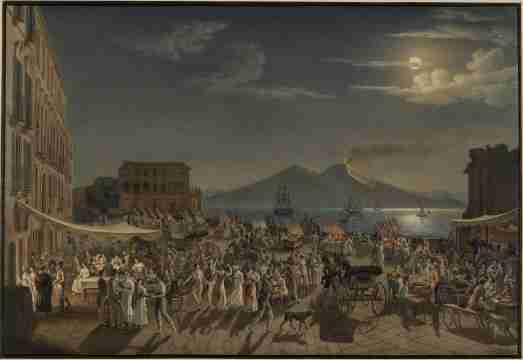 Some painted Vesuvius at night, to accentuate the dramatic effects of fire and smoke. 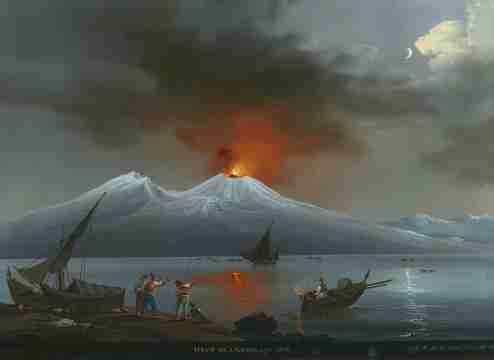 Others painted winter scenes, contrasting the snow-covered peak with the eruptions of bright red lava. 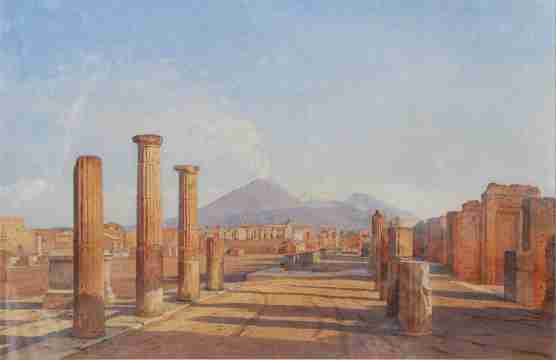 Vesuvius also has close associations with classical history and archaeology. 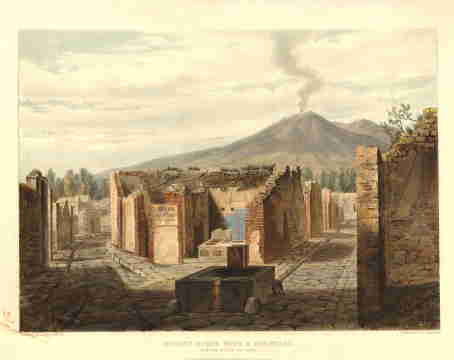 The Roman towns of Herculaneum and Pompeii, which were buried during an eruption in 79 AD, were rediscovered in 1738 and 1748, respectively. 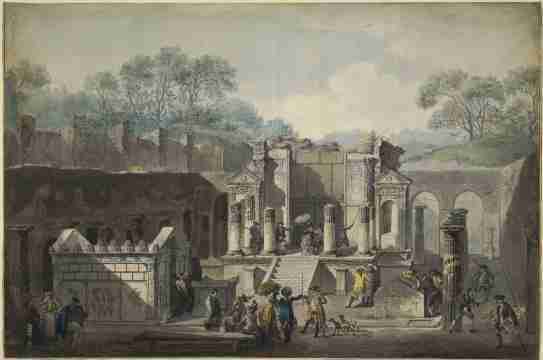 Excavations began on the sites in 1764, and as their well-preserved ruins gradually emerged from the ground, they were documented by watercolour artists. 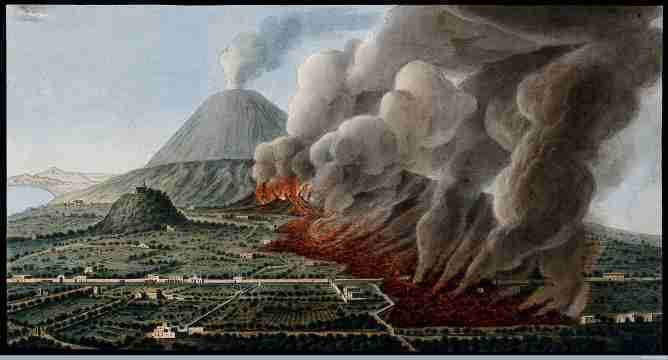 An important pioneer of the science of volcanoes was Sir William Hamilton, British envoy to Naples from 1764 to 1800. 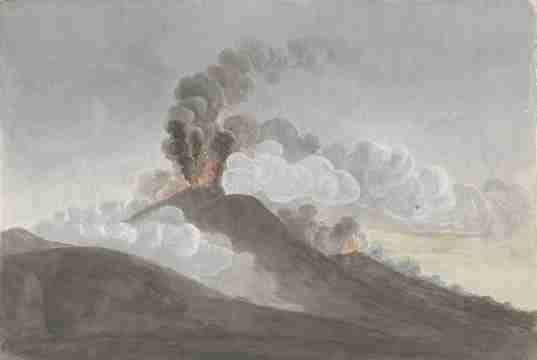 Intrigued by the eruption of Vesuvius in 1766, he conducted scientific studies on the mountain, which he published in a series of acclaimed articles and books. 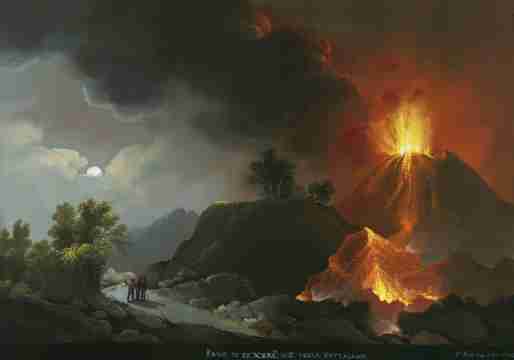 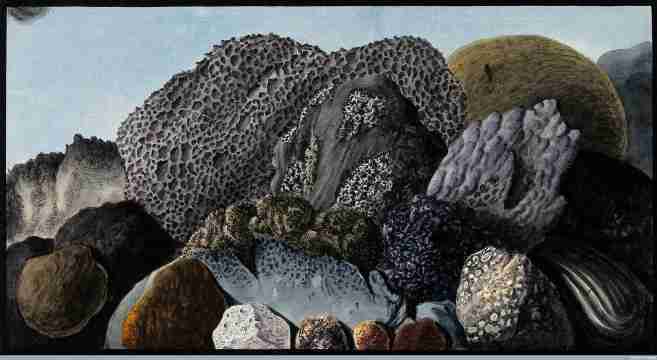 For one of these, called Campi Phlegraei (“flaming fields”), he commissioned the artist Pietro Fabris to create 54 remarkable coloured illustrations of the volcano and its geology, which allowed readers to visualise Vesuvius in a new way. 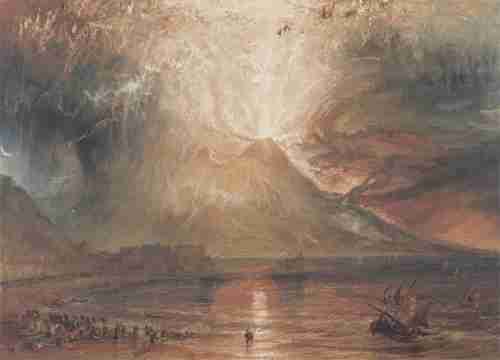 View more images of Vesuvius on our search page.